If you’re looking to update or remodel your kitchen without a costly hassle, sometimes just simply painting the cabinets will do the trick. Get the scoop on kitchen cabinet enameling and learn how cabinet refinishing can give your whole kitchen a fresh new look. The process of kitchen cabinet enameling is really quite easy. You start with selecting a primer. This will depend on the type of cabinets you have. You’ll have to have the primer tinted to whatever color the top coat is. It’s important that you do this correctly because dark surfaces can bleed right through the top coat. Next, you’ll have to choose between oil-based or water-based paint. If you use oil-based paint you’ll want to make sure that the area you’re working in is well ventilated. Although the smell might be overbearing, it does provide you with a nice, durable outcome. Water-based paint is a bit easier to work with since it’s not as potent as oil-based paint and it’s easier to clean up. Whichever one you choose to go with, the most important thing is that you go with the best quality that you can find. You’ll need to remove the cabinets in order to paint them. All doors, drawers, and shelves will have to come out since painting over hardware is not good. You’ll need to prepare the surfaces by heavily cleaning them and then sanding them down. You’ll have to carefully and separately prime and paint all parts and then put them back together when they are completely dry. Contact us today for more information on how we can help you easily and comfortably turn your dream kitchen into a reality! Are you excited about a kitchen or bathroom remodeling project but are unsure if they will add value to your home? In an uncertain real estate market, many homeowners are hesitant spending money improving their home. Even if the improvement is to improve function or increase our own enjoyment, we all want to ensure we are not wasting money. Let’s discover how kitchen & bathroom remodeling adds value. During the housing boom of the early 2000s, a homeowner was almost guaranteed to get their money back. Today, the housing market is no longer a feeding frenzy. Some homeowners are not even willing to paint their house before placing it on the market. They wonder if it is worth the time and money if it doesn’t really help. The simple fact is, home improvements do help sell your home. Real estate agents agree that anything you do to improve your home’s appearance, function, and livability attracts more buyers and increases offers. However, not all home improvements add real value at resale. 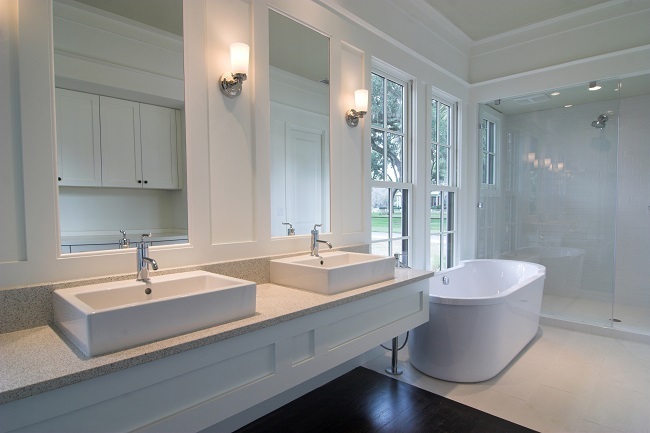 Popular opinion has always stated kitchen and bathroom remodeling increase a resale price. Now there is proof. Why are kitchens and bathrooms at the top of the list for adding value? The NAR report also shows us these are the projects with the most appeal to homebuyers. It is all about buyer psychology. What sells a house is a buyer seeing them living in it. If they fall in love with the kitchen and bathrooms, the house is sold. There is, even more, good news. Trends are showing that the value of home improvement projects is increasing. Remodeling magazine’s 2016 Cost vs Value report states there is an average of 64.4% return on all large home improvement projects. This is up from 62% from their 2015 report, the second-highest return in the past eight years. If you would like to talk more about kitchen and bathroom remodeling adding value, or need more information, please contact us. Choosing the right paint colors for your home can make all the difference in more ways than one. Not only will it directly affect the look of your home, but it will affect the feel as well. This is why it’s important that you take some time to carefully select the colors for any residential painting projects that you plan to do. If you’re going for a subtle look, try sticking with colors like different shades of blue, lavender, light green, and pale yellow. Subtle colors will exude a feeling of calmness and serenity. You’d be surprised at how just simply painting your bedroom a powdery blue color will bring you tranquility, or painting your kitchen a buttery yellow color will bring you a sense of warm comfort. If you’re going for an elegant look, try sticking with neutral colors like white, beige, or brown. Think earth tones. Adding tasteful decor to a room that’s painted a neutral color is usually a surefire way to create true elegance. Elegant colors can also include shades of mahogany, rust, and garnet. 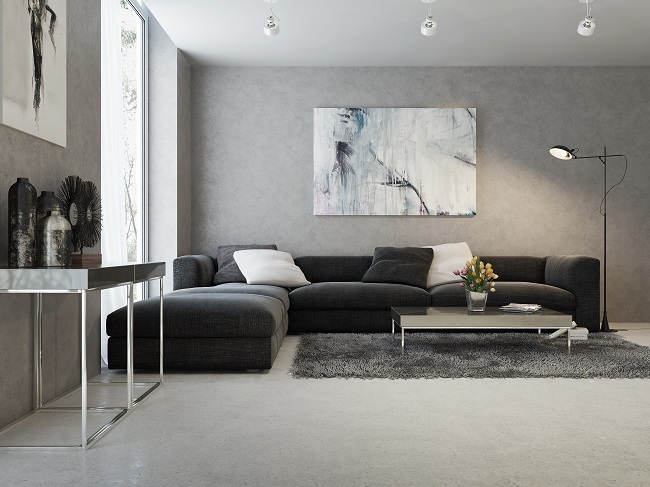 Keep in mind that the lighter the color you choose the more spacious the room will look. If you’re going for a vibrant look, try sticking with colors like red, orange, or dark purple. Vibrant colors are the perfect way to add some flair and some pizzazz into your home. Many times people who choose vibrant colors for their homes will choose more than one of these colors per room. It’s definitely one way to make your home stand out among others. 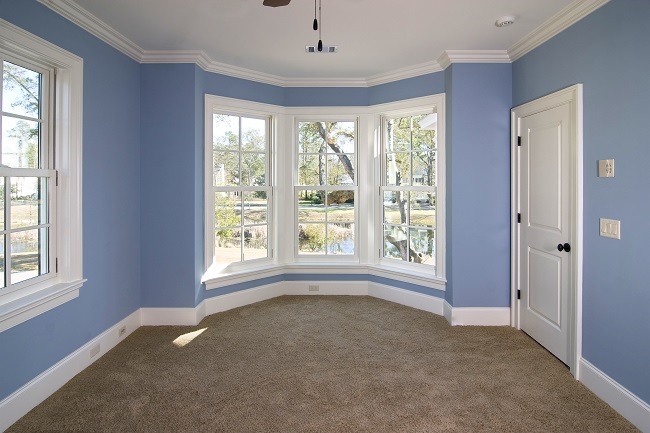 Contact us to learn more about all of your interior painting options! The exterior of your home is the first thing potential buyers will see, whether they are searching online or driving by in-person. Because curb appeal is so important, there are certain homes that may need exterior painting services before anyone will even step foot inside. Sometimes, all that is needed is a trim touch-up, but attempting to do this yourself can end in disaster. Rickety ladders and dripping paint are just a few of the pitfalls. 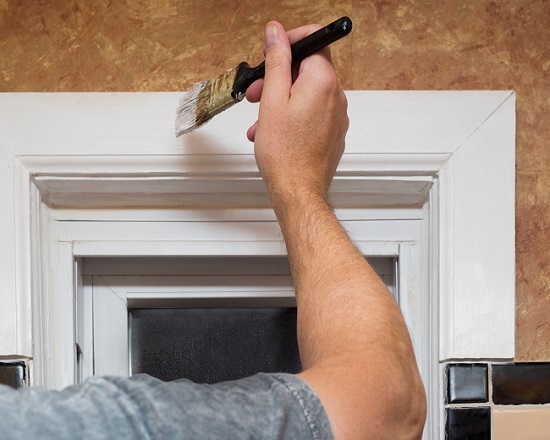 You may have done a great job painting your bathroom last year, but repainting the outside of a large home can be a daunting task. 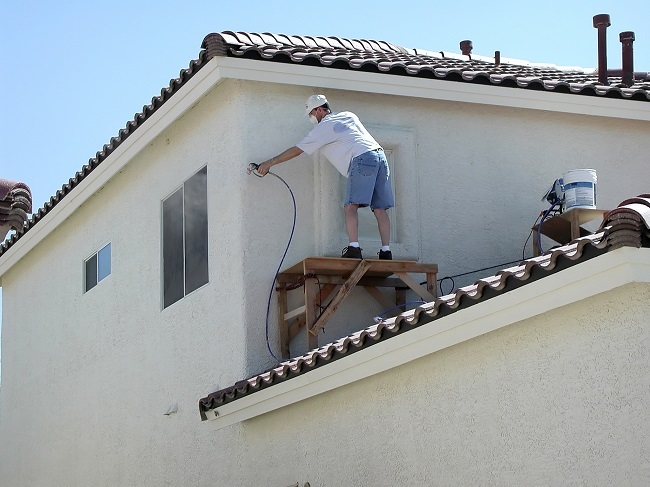 If you have a two-story house, painting it yourself could pose some serious safety concerns. Not only that, but it will take a very long time, and your time is better spent on other smaller home improvement projects. Sanding and repainting a home with flaking paint is time-consuming, and you probably don’t have that kind of time. Leave this and other major painting projects to the professionals. You were able to get past the lavender paint with green trim when you bought the house several years ago, but today’s buyers aren’t usually looking for fixer uppers. Your neighbors will also thank you when you switch to a light tan or pale yellow, perhaps with a traditional white trim. People like exterior colors to be conservative, so either change the color or be stuck there forever. Color changes are tricky, so again, leave it to the experts. We are more than just a painting company, so please contact us with all of your home remodeling needs. From kitchen and bathroom remodels to trim touch-ups, Excellent American Painting is your one-call solution for preparing your home for the market. Crown molding is a stylish and popular way to cap or surround rooms, cabinets, pilasters, and more. For rooms, you generally apply it along where the wall meets the ceiling as a way to add lots of charm, character, value, and sophistication into your home. Before you begin, you need to ask yourself is crown molding right for your home? Let’s take a look at how you can tell. Crown molding may not work out for every type of home if you don’t know what you’re doing. Typically, crown molding does best in traditionally styled homes. Ornate crown molding seems to just flow so much nicer in a traditional atmosphere. If you like contemporary style, though, but you still want to add crown molding into the mix, try keeping the room as simple as you can. This means the fewer the furnishings and the patterns the better. It will help the crown molding to stand out more and to look nicer. In most cases, crown molding looks better with higher ceilings. If your home has very low ceilings, crown molding may make your rooms look more cramped for space. The higher the ceilings the better. If you really want to put crown molding in a room with low ceilings, then you can just select molding that is not very wide to make it work better. If you want to put crown molding in a room with 10 foot or above ceilings, then you should probably just follow the rule of adding 1 inch of width to the molding for every foot. Contact us today to see what kind of crown molding would work out best for you and your home. Drywall is not indestructible, and people often find that out the hard way when they bang something into the wall and end up with damage. If it’s not in a very visible area, you might consider doing the repair yourself, but when the location is someplace very visible, it might be best to call in the professionals. 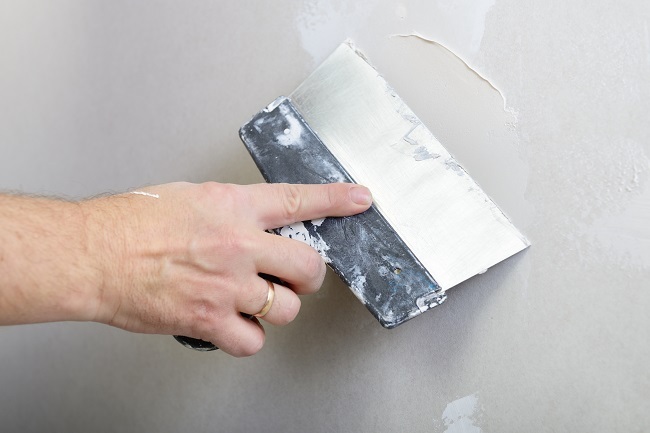 Drywall repair involves filling the space, if the damage is large, with a piece of drywall that fits within the space and affixing it, using paper or mesh tape to connect the edges, and going over the tape with several thin layers of compound. Do-it-yourself or call a pro? Drywall repair is simple in concept, but can be difficult in reality. There are several tricks to getting the compound to come out even and smooth that only come with experience. Using several layers helps, but if you need to sand it too much, you’ll lose more compound than you want to and get stuck in a never-ending loop of sanding and compounding. You can add texture to blend the area with a mixture of compound and water applied with a roller. For a particularly large hole, you may need to add some structural support in the form of a pine board glued to the inside of the area. While drywall repair can be done on your own this is only the beginning of the information involved. Trying to achieve drywall repair yourself in a particularly visible area can lead to a frustrating time trying to get it to look like the damage never happened. Feel free to contact us to see how easy we can make it for you. A ceiling fan is a nice addition to any home. Not only do they help keep your home cool during the summer, but they can also help improve warm air flow during the winter. But, there are many options in the ceiling fan industry, and it is sometimes difficult to determine exactly which fan will work best in your home. To help with this choice, we have developed some tips for choosing the best ceiling fan for your needs. 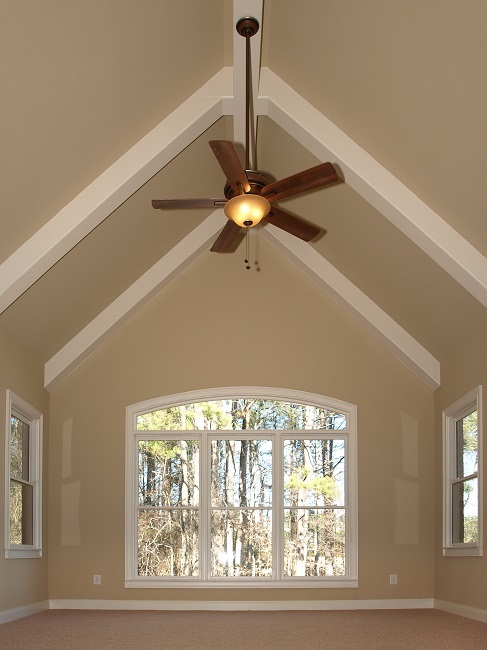 Start by measuring the size of the room you are planning to install your ceiling fan in. The size of your room will help determine exactly what size of ceiling fan you need. In extremely large rooms, you may even want to add two ceiling fans. Another thing you will want to consider is the actual height of your ceiling. Start by selecting a fan that offers the right head clearance. This is especially important if you have a low ceiling, but you will also need to make sure a high ceiling is accommodated for too. Finally, you will also want to decide if you wish to have a ceiling fan with a light kit. In most homes, this is the best option because it allows you to have additional lighting in the room. In the end, it can actually replace your current lighting option completely. When choosing a ceiling fan, these are some of the things you will want to keep in mind. They can help you make the best decision possible when you are choosing a ceiling fan for your home. To learn more about how you can improve your home and make it more comfortable, contact us today. We all know the kitchen is the heart of the home, we nourish our family in it, not just with food but also with love and support. We entertain guests, assemble science projects, and teach life lessons to our teens in the kitchen. So when that kitchen is looking worn or outdated, it can affect how we feel too. 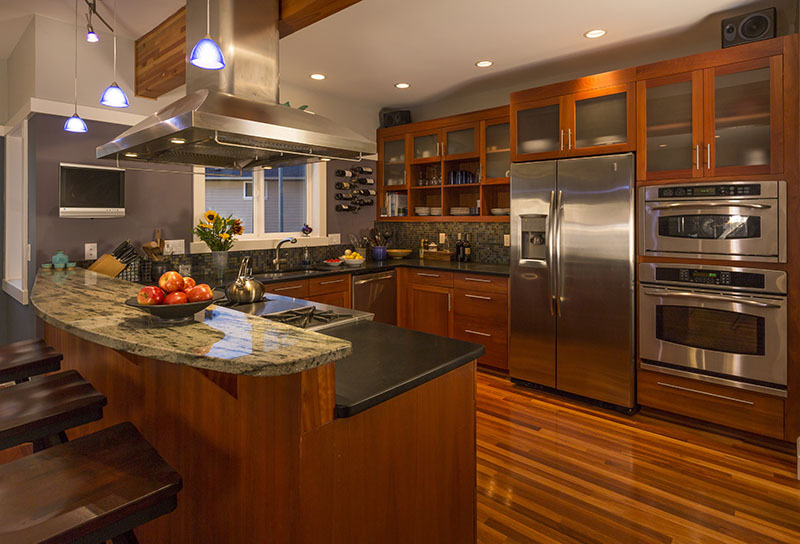 To help save money on your next kitchen remodel you can follow these easy tips. Instead of completely gutting the kitchen choose to replace only the cabinet doors, the countertops, and backsplash, or fixtures and flooring instead. Leaving the original layout also saves money in plumbing costs by not moving sinks and pipes around. Instead of shopping at big name stores check out the local building suppliers that contractors use. The savings here could be up to 20% on your remodeling budget. You can also save money by checking out refurbishing places such as ReStore by Habitat for Humanity for used cabinets, windows and doors and fixtures. If you decide to work with a contractor you can still save money by doing some work yourself. Such as doing the demolition, clean-up, and picking up supplies yourself. 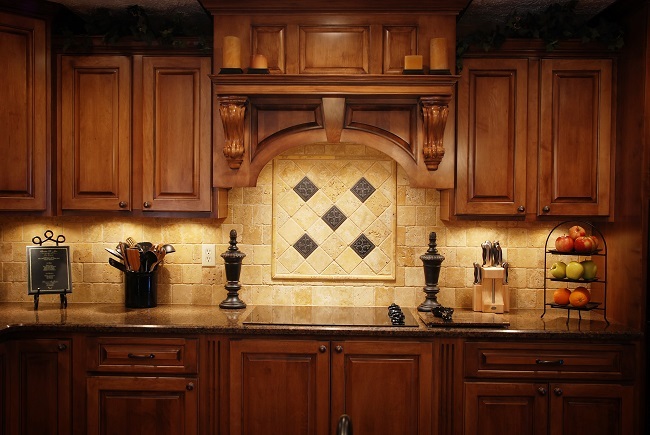 Doing the backsplash or flooring yourself will help slash that renovation budget too. Shopping the floor models of appliances comes with considerable savings and sometimes comes with the same warranties as stock models. Also, shop late in the year to take advantage of stores wanting to make room for next year’s models. You may also make some good savings by asking if the store accepts trade-ins for your old appliances. 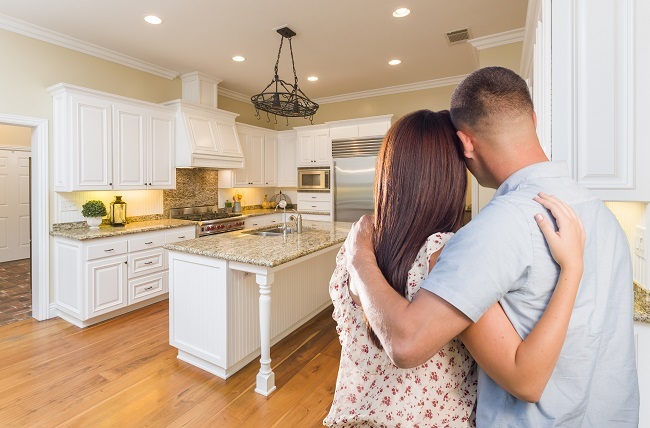 A kitchen remodel is an exciting project and adds value to your home but it shouldn’t be a huge drain on your finances if you shop right and have a great contractor. Let Excellent American Painting help you with your perfect kitchen remodel, feel free to contact us for more information. Does Your Faux Finish Wall Need Attention? Just like any other wall, often times faux finish walls require attention. Does your wall need to be touched up but you lack the skill or confidence to complete the job? Perhaps the wall has a dent and could use a little TLC? No matter the reason we can definitely get the job done. A faux finish is one that either imitates another material, like stone or marble, or one that creates a texture on a wall that isn’t really there. It can include such techniques as Venetian plaster (which isn’t plaster at all) or leather, metallic, and even more! Faux finishes provide a unique challenge because not only are you matching multiple paint colors, but matching the technique within the color frameworks as well. Matching color and technique is no easy task and if taken on by an amateur can result in an area of wall you’d rather hang a large picture on to cover up the mess. When you contact us, we’ll be sure answer all of your questions and concerns. Even if your wall was just one color it can be just as hard to match. Time and environmental factors affect the paint that is on the walls so it may no longer match the color out of the can with the same name. Our 15 years of painting service and excellent customer reviews prove that we have the expertise to tackle your spackle and paint problems. Homeowners always have a list of projects to do, and some of them are harder than others. For those who aren’t the handiest of people, electrical projects can be a little intimidating. For that reason, sometimes people simply live with their old fixtures, long after they’re out of date. If you’re ready for some changes, Excellent American Painting’s Handyman Services can help you with 4 simple things that will give your home a new look. Do you ever walk by the lighting department in the home improvement store and find yourself drawn to some of the fantastic outdoor lighting fixtures, only to go home and look at the boring ones that have been there for years? They may even be chipped, rusted, or discolored by now. This is an easy change that can make a big difference in the curb appeal of your home. These are the most important rooms in the home, because they are where everyone gathers. Do you ever look up at your fixtures and hope no one notices you’re still lighting your kitchen with a fluorescent light from the 80’s? Or wish that gaudy gold chandelier in the dining room would just disappear? These are easy fixes that will give these rooms a whole new look. Not everyone loves how ceiling fans look, but they are extremely functional in bedrooms, and usually help keep cooling costs down, as we’re headed into the warm weather. Do you have certain rooms that just don’t have enough light? Maybe there aren’t enough windows to let in natural light and you’re tired of feeling like they’re dark and dreary. We can wire in some new lighting to brighten things up and make it appear fresh and new. Can lights are a perfect way to brighten a dark room. If all these projects sound great to you, but you don’t have the time or knowledge to get them done, handyman services in the Frisco area can take care of it for you. For more information, contact us.